Whip up a batch up cupcakes. Apply your blue icing that is already made up for you! 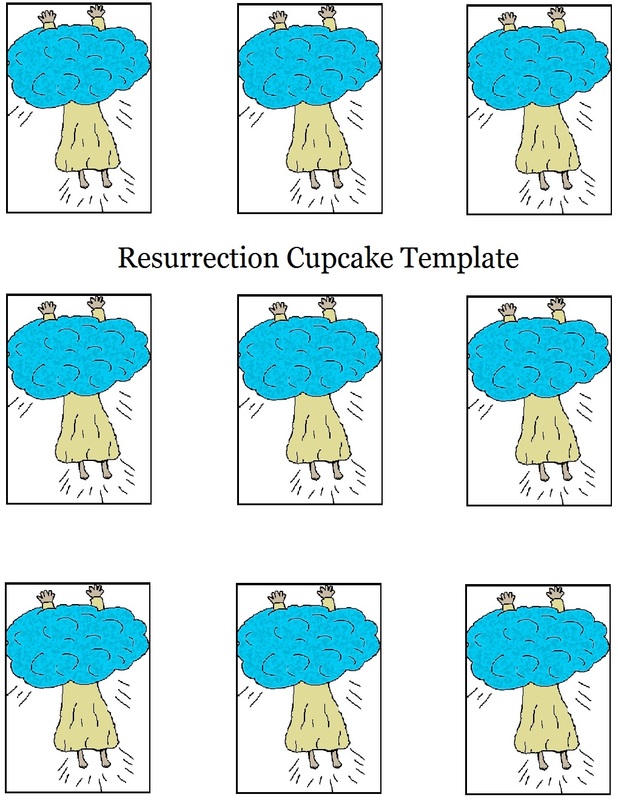 Print out the Jesus ascending through cloud template and cut them out. Tape a toothpick to the back of the template. Stick down in cupcake. Take these for Children's church service for the kids or Sunday school. I always take food and drinks for the kids every Sunday morning during children's church. I try to make sure that every snack that I take goes with our lesson. And of course we do the drink disciple and food disciple every time. They just guess the right number I picked and they get to pass out the stuff. Check out our Easter Sunday School Lessons and find more Easter related stuff.